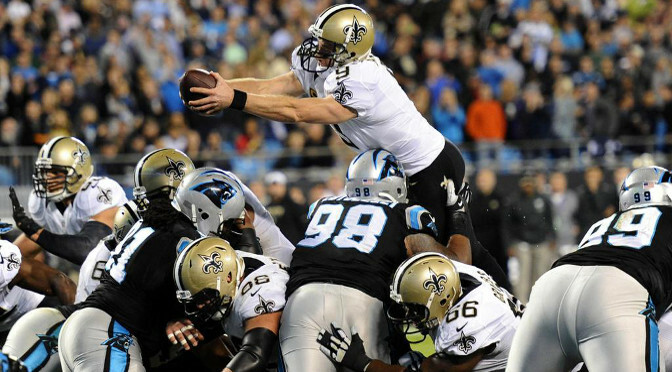 When the schedule came out, many believed the NFC South would be decided in the final weeks of the season with the Carolina Panthers and New Orleans Saints set to play twice in the final three weeks. But as their Week 15 game on Monday night approaches, the scenario is entirely different. Both still need to win but for vastly different reasons. The Saints want to hold onto the No. 1 seed in the NFC, and the Carolina Panthers just want to stay in the playoff conversation. For the first half of the season, the Carolina Panthers looked like they were going to be serious contenders this season. They got out to a strong 6-2 start to the season. The defense was playing well, and Cam Newton had never been more accurate as a passer. But then the wheels fell off the proverbial truck and they lost five in a row. They have had a variety of issues on both sides, but if they can win out, they still have a shot at sneaking into the playoffs. But to do so means beating the Saints first—which will not be easy to do with Cam Newton nursing a shoulder injury. It appeared to bother him when he tried to throw downfield against the Browns. He’ll need to do so against the Saints to spread the defense and create some running lanes for Christian McCaffrey. If he can, and McCaffrey can get on track early, the Panthers may have some luck sustaining drives and keeping Drew Brees off the field. But they will also need to take advantage of every scoring opportunity they get against the Saints. They will not be able to win kicking field goals. Then again, depending on how the Saints offense plays, they might. The Saints offense had a rough game against a good Cowboys defense a couple of weeks ago. But the same excuse can’t be used to explain why they played so poorly against the Buccaneers for three quarters. They got it together in time to pull out a win, but against a more talented team, they would not have been nearly as fortunate. New Orleans fans would love to see their team just run away with this one from the start—but it just isn’t going to happen. A motivated Carolina team will give the Saints all they can handle in the first half of the game and could even be ahead at the break. But then good times will not last for Carolina. Drew Brees will take over the game in the second half (just like he did last week). Cam Newton will give a valiant effort, but with his shoulder bothering him, he will struggle to throw downfield once again. In the end, it will be a much closer game then Saints fanswanted—but they will win. So, take New Orleans to win, straight up and against the spread (-6). As for the over/under (49.5)—the Panthers will not hold up their end, so take the under.